Here, in the Las Vegas area, marijuana is now an acceptable form of drug consumption and a new ally to the medical community. The entire country may not see it that way, but the cannabis education courses sprouting up around Las Vegas is proof of its acceptance here. 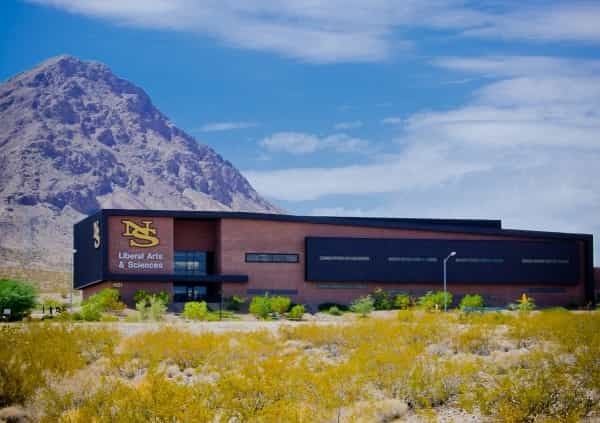 Classes can be taken at The Source dispensary and even at Nevada State College. Cannabis education is much needed for nurses to be able to properly assist patients with administering cannabis and showing them the proper way to consume it as well. Marijuana has shown potential in helping to alleviate pain and anxiety, it can help people sleep, reduce seizures and stimulate hunger. Nurses need to understand the different ways patients can consume cannabis, whether through an edible or tincture, vaping, smoking or topically. Certain strains with different concentrations of cannabinoids are better at alleviating specific conditions and possibly rotating strains will be necessary. Determining dosages would also be another important part of cannabis education. “It is exciting. I mean we’re right at the beginning of where maybe the medicinal purposes are going to go for the future,” said Susan Growe, an assistant professor at the NSC School of Nursing. Your future caretakers are also talking ethics at NSC. Specifically, whether nurses should do pot on their own time. June Eastridge, a lecturer at the NSC School of Nursing, reminds students even though it’s legal recreationally in the state, many employers drug test. 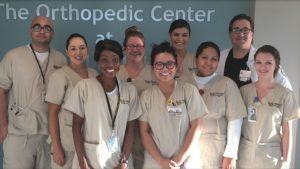 “We want to make sure bottom line that we’re at our best when we’re in the workplace,” said Eastridge. Dispensaries are also going out of their way to offer cannabis education courses. Their are many misconceptions about cannabis, both positive and negative, but factual information will help remove uninformed biases. At The Source dispensary, the last Tuesday of every month is their “Higher Education” series. These are discussions with experts about the industry of marijuana. Some topics include edibles, topical applications, and cannabis vaporizer products. “Customers, and even non-customers, they want to know more about the options that are available,” said Andrew Jolley, the CEO of The Source. There is a stigma surrounding marijuana that is still prevalent throughout the country, and like any stigma, education will provide clarity that will either validate negative assumptions concerning cannabis or prove them wrong. One way or another, cannabis education courses are one of the smartest ways to inform communities and will likely garner more research along the way. In order for further research to really uncover the capabilities of cannabis for its medicinal applications, marijuana will likely need to be descheduled by the federal government. Especially being categorized as a Schedule 1 drug, the most restrictive schedule, researchers are simply afraid to be too hands-on with the complex plant. Many scientists live off of grant money from the federal government and worry that their funding might get pulled if it is discovered that they are researching cannabis. Not to mention the fact that they could face federal criminal charges for being hands-on with the plant. However, the future of medical marijuana and the potential relief it could bring to millions of people depends on furthering cannabis education efforts.